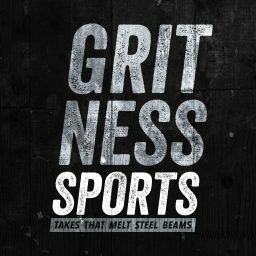 If you haven’t yet checked out episode 8 of the Gritcast, make sure you take a moment to do so now, because we totally called this move. Earlier today Bills Head Coach Sean McDermott announced that the rookie 5th round pick Nathan Peterman will be starting Sunday’s game against the Chargers and I could not be more pumped. Unlike Dirty Dietz who completely hates Tyrod Taylor, I’ve been on the fence about him and have said in the past that I thought he could get a team into the playoffs if everything else is going perfectly around him. Things have not been going perfectly as we’ve seen these last couple weeks against the Jets and the Saints, and Tyrod has looked lost. He has no ability to bring the team back from any type of deficit and the defense is getting killed because he can’t keep drives alive. I’ve cheered on Tyrod and supported him because once in a while he pulls a rabbit out of his hat and makes an incredible play, but those have been few and far between this year. The national media wants you to think that benching Taylor is a crazy move as they cherry pick stats to back up their argument, but if you’ve seen all of the games this year you would know that this has been a long time coming. Taylor is averaging 6.6 yards per attempt (25th in league), has 10 TDs in 9 games (23rd in the league) and has been sacked 28 times which is 4th most in the league. You can argue that the Bills are a running team but that really has not been the case this year. The Bills as a team are averaging 117 rushing yards per game which is good for 11th in the league, but to offset the anemic passing offense it really needs to be 1st or 2nd. The Bills need a spark after getting their teeth kicked in for the last 2 games and I’m all for seeing what Peterman can do. Based on what we saw during the preseason, Peterman should be able to get the ball out of his hand more quickly which should help the struggling offensive line, and hopefully he takes some chances and gives his big wide receivers a chance to make a play. I can’t wait to see what Peterman can do on Sunday! Next:Tyrod Taylor is Dead to Me. Nathan Peterman Rises From His Ashes.